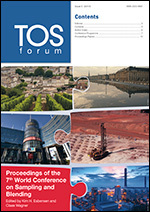 Individual chapters of our e-books can be bought online in PDF format. They are available for download immediately after payment; follow the link(s) from your confirmation e-mail. Chemical derivatisation of functional groups has proved popular since the beginning of organic mass spectrometry as a means to enhance the stability and volatility of the analytes as well as facilitating structure elucidation. 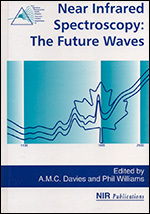 This book provides comprehensive information on the wide range of derivatisation methods. Each chapter looks at a particular area of derivatisation and includes extensive references to the literature for further research where necessary. There are nearly 1800 references, which, as well as full bibliographic information, include chapter/paper titles where appropriate and Digital Object Identifiers (DOIs) to allow easy retrieval of the online version of the referenced publication. The emergence of atmospheric pressure ionisation and other soft ionisation techniques has not diminished the interest in such chemical techniques, as witnessed by the many chemical tags used in quantitative proteomics (Chapter 9). 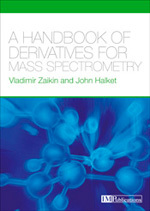 The last two chapters, a substantial part of the book, deal with derivatisation for use with soft ionisation of both small and large molecules. 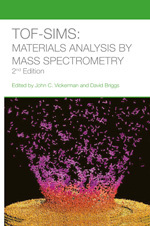 This e-book is designed to explain the science behind the operation of a mass spectrometer, to suggest methods for the production of reliable data and to flag cases where the production of false data can occur. No “recipes” are given for specific analyte methods; these are plentiful in the scientific literature. The intention has been to prepare the reader to examine critically the published methods and to be aware of the major pitfalls in designing and implementing an analytical procedure. 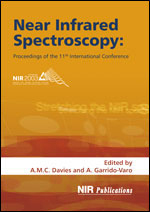 The first five chapters describe the operation of a mass spectrometer system and its use for qualitative and quantitative analysis while the final chapters describe some successful examples of application and explain how the methods chosen were designed to improve sensitivity, specificity and speed of analyses. Possible future applications are also discussed. A list of acronyms and a short section on the meaning of common terms is included at the end of the volume. Links to references, web sites and other useful information are included. Focus on Design of Experiments provides a concise overview of how to design experiments in the most efficient and statistically valid manner. “If you’re going to experiment, then it is always worth doing it properly” writes Tom Fearn in this Focus on Design of Experiments. 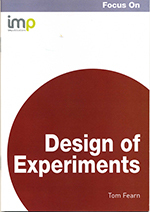 This book introduces the idea of Design of Experiments (DoE) and why it is important. 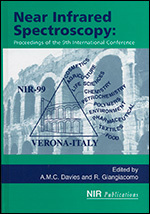 It is a collection of articles that appeared in past NIR news issues that have been edited to produce a uniform book. 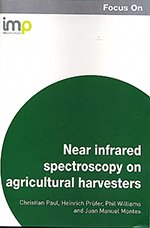 Focus on Near Infrared Spectroscopy on Agricultural Harvesters provides an overview of the Near Infrared analysers onto harvesting machinery to give real-time, point-of-cropping data on biological material composition and quality. Auger Electron Spectroscopy (AES) and X-ray Photoelectron Spectroscopy (XPS or ESCA) are well-established techniques for surface analysis and also (when combined with sputter depth profiling) for thin film and interface analysis. This book is the first comprehensive treatment of the subject for over 10 years. 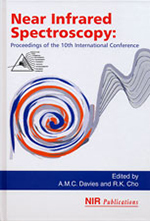 This book is the first comprehensive treatment of the subject for over 10 years, during which time there have been many advances in instrumentation and performance, the understanding of electron spectroscopy fundamentals, experimental methodology and data interpretation, all of which have markedly enhanced the capabilities of AES and XPS. This new information is now integrated into a thoroughly up-to-date reference volume for the benefit of researcher and practical analyst alike. 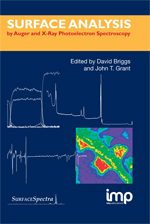 31 chapters cover the following areas: perspectives and history; basic principles and spectral features; instrumentation, sample handling and beam effects; electron transport and surface sensitivity; quantification; spectral interpretation and structural effects; depth profiling; imaging; and developing aspects. There are also extensive Appendices of reference data. The authors are all internationally recognised and come from Australia, Europe, Japan and the USA. Time-of-flight secondary ion mass spectrometry (ToF-SIMS) is the most versatile of the surface analysis techniques that have been developed during the last 30 years. Current instrumentation provides a powerful combination of capabilities for molecular detection and trace element determination, depth profiling, imaging in two and three dimensions, and microanalysis. This is the Second Edition of the first book to be dedicated to the subject and the treatment is comprehensive. Following overview and historical chapters, there are sections devoted to instrumentation and sample handling, fundamentals and molecular dynamics simulations, optimisation methods—including laser post-ionisation of sputtered neutrals, data interpretation and analytical applications. All the contributors are internationally recognised as leaders in their respective fields and come from both Europe, the USA and Asia. Explore our free-to-read/Open Access e-books.